What is Online Maintenance Management Software? Online Maintenance Management Software usually consists of a Computerized Maintenance Management System (CMMS) that enables easy tracking and management of company assets to decrease the general cost of operations when performing maintenance tasks for the building or sites a company operates in. The Maintenance Management Software here is offered under the SaaS (Software as a Service) model, meaning that the software is web based, hosted on the Cloud and can be accessed when needed through a client or web browser. 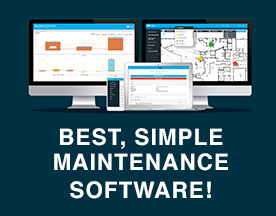 If you’re looking for online software similar to Maintenance Management Software, consider our Building Maintenance or Business Process Management Software categories. Azzier represents a new era in Asset Maintenance Management with unparalleled power & flexibility. 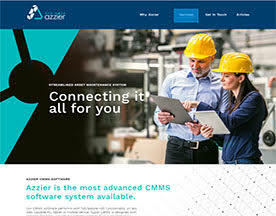 While other Asset Maintenance Management Software systems force you to conform, Azzier is completely tailored to meet your users and administration needs. Hippo CMMS is a powerful, user friendly maintenance solution. We have a proven track record with over 700 customers. Hippo makes the complex simple, with easy to use work order and preventive maintenance tools. Get a free trial today!